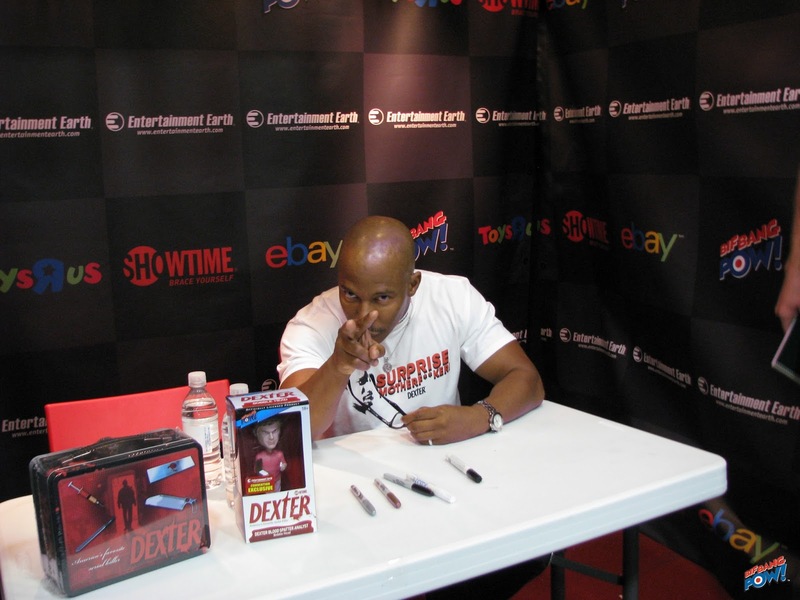 Thank you for coming out to see us at Comic-Con and making the show so successful! Entertainment Earth showed some sneak peeks of our 2014 products. Retailers' feedback on our new products was positive. We love cosplay and seeing fans come by in costume, too! 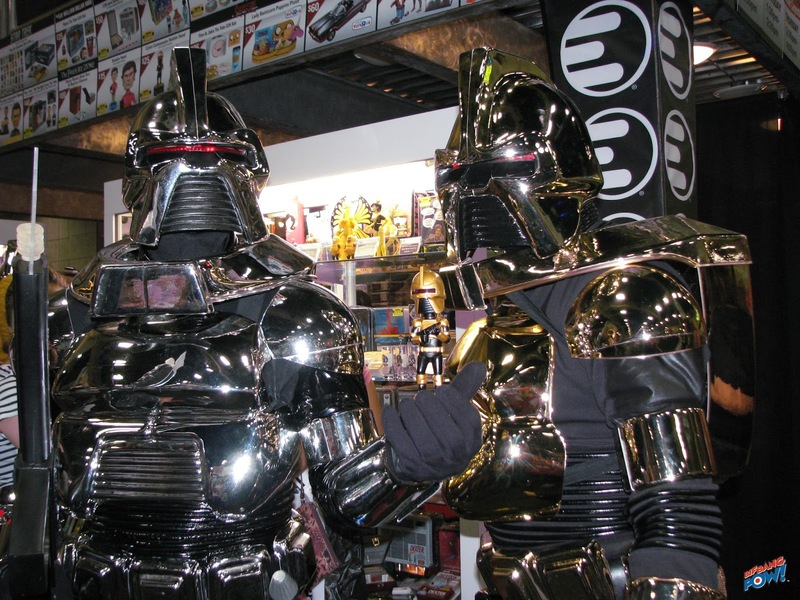 This year, we were lucky enough to have a detachment of Cylons stop by to frighten the humans, but we won them over by showing them their very own Cylon Bobble Head, which talks and has a moving red light just like the big guys! Dr. Girlfriend, Dr. Mrs. The Monarch, and The Monarch also came by! They fit right in with our Venture Bros. products and the Convention Exclusive Tin Tote with action figures. While no cosplayers showed up as Bloody, Naked Brock, aficionados can still take home the action figure--another popular seller at Comic-Con! 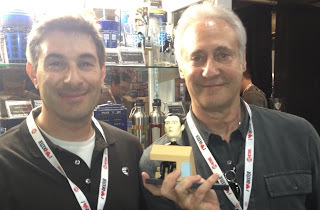 One of the highlights of the show for me was Brent Spiner coming by to look at our upcoming products. He was particularly interested in our Data Bobble Head. 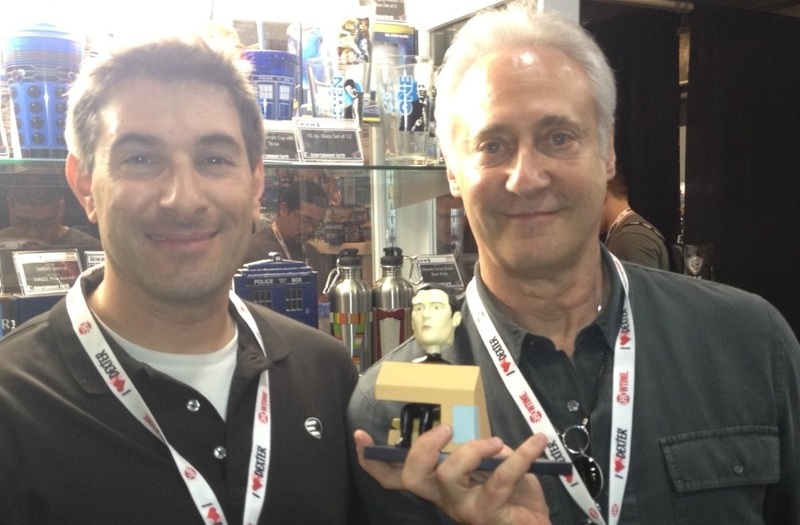 This bobble head is part of our Star Trek: The Next Generation Build-a-Bridge Bobble Head set. If you collect all 8 deluxe bobble heads of the Star Trek: The Next Generation set, you'll have a mini replica of the Enterprise bridge as well! Labels: Battlestar Galactica, bobble heads, Brent Spiner, Comic-Con, Cosplay, Data, Dr. Girlfriend, Exclusives, Star Trek, The Monarch, The Venture Bros.